← Erich Fromm: Why have we subordinate the economic machine? It is fascinating to observe how the knights of the Neoliberal Globalism: economists (mainstream, sort of critical towards mainstream and those who sought repentance such as Jeffrey Sachs), the business elite, the nowadays’ robber barons, and their couriers in the media, the academia and politics (wow, Bill Clinton’s remarks were touching as always) — bawl in unison, in a orchestrated manner against the independence of Scotland and illustrate with a semi-sadistic pleasure blows and plagues the Scots expected to suffer if they would separate from Perfidious Albion. Indeed, Scottish independence is threatening a “new world” order – “end of history” world, “global citizenship” world – they thought they had built here from the 1980s for their own sake; it is menacing Thomas Friedman’s “flat world” (whose prophecies in The Lexus and Olive Tree about globalization as the fountain of world peace, steady economic growth and decreasing inequality are grotesquely ridiculous now as much as then). Even more amazing is the insolence of Euro-politruks – those non-elected Brussels bureaucrats which rule on the lives of millions – to call the referendum in Scotland, a land with about 800 years parliamentary tradition, as ‘anti-democratic’. I have no view about the preferable direction for Scotland. 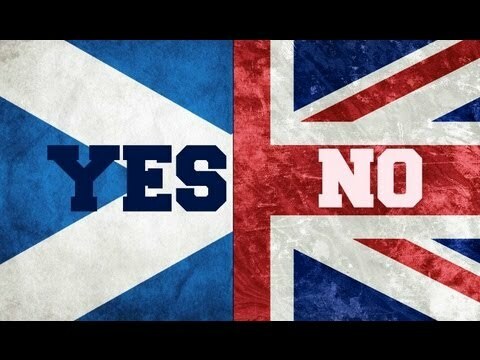 It is the right of the people of Scotland to decide, based on their life experiences and civic, political and national aspirations. But I have no doubt that the Scots must not be tempted to believe that the fate of their country is really important to anyone except them, especially to financiers from the City, Wall-Street or La Défense whose historic perspective is reflected, at best, in the current annual balance sheet and in most cases ends next quarter. One must not load on Mr. Brown and Ms. Wilson shoulders the future of the European Union or NATO. Not Scotland’s national destiny and its residents’ future well-being disturb the sleep of the just. The capitalist prophets of rage are particularly afraid of the prospect that enormous resources (economic capital, political and institutional power) under their direct and indirect control may be questioned after the referendum. They fear that the project of Neo-liberal Globalism, that survived quite easily the 2008 financial crisis from which many of them even benefited due to compassionate corporate welfare, might get hit now while galloping ahead to impose the next austerity plan. They fear even more the possibility that Scottish winds will strike the lumberjacks in the forests of Flanders and rock the fisherman boats near Catalonian beaches. They fear the rising masses of the precariat, the united national proletariat. This entry was posted in Oleg Komlik and tagged European Union, finance, nationalism, neoliberalism, Scotland, United Kingdom. Bookmark the permalink.